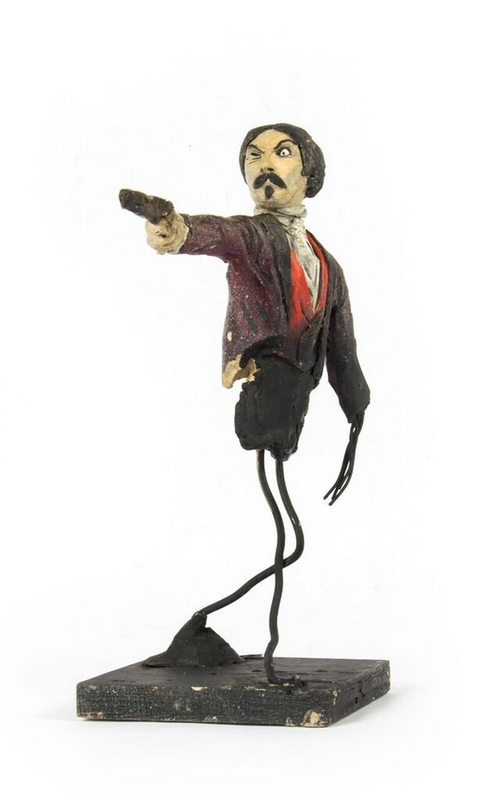 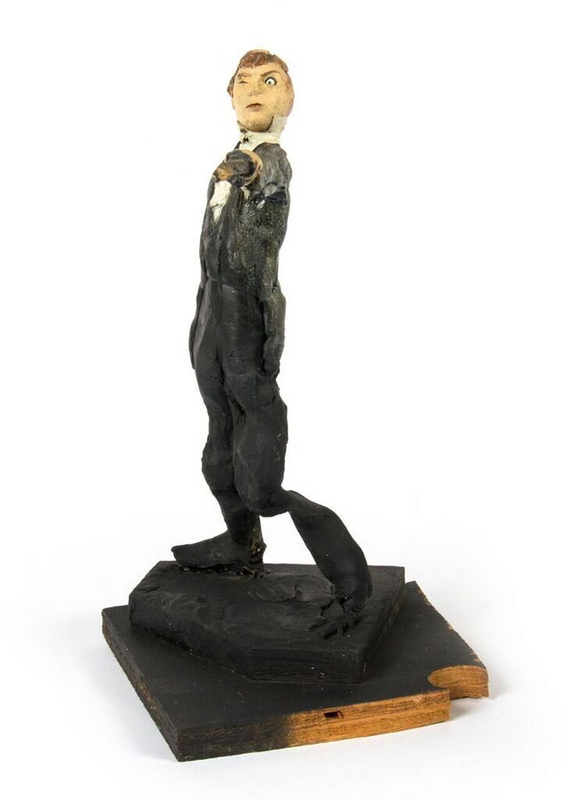 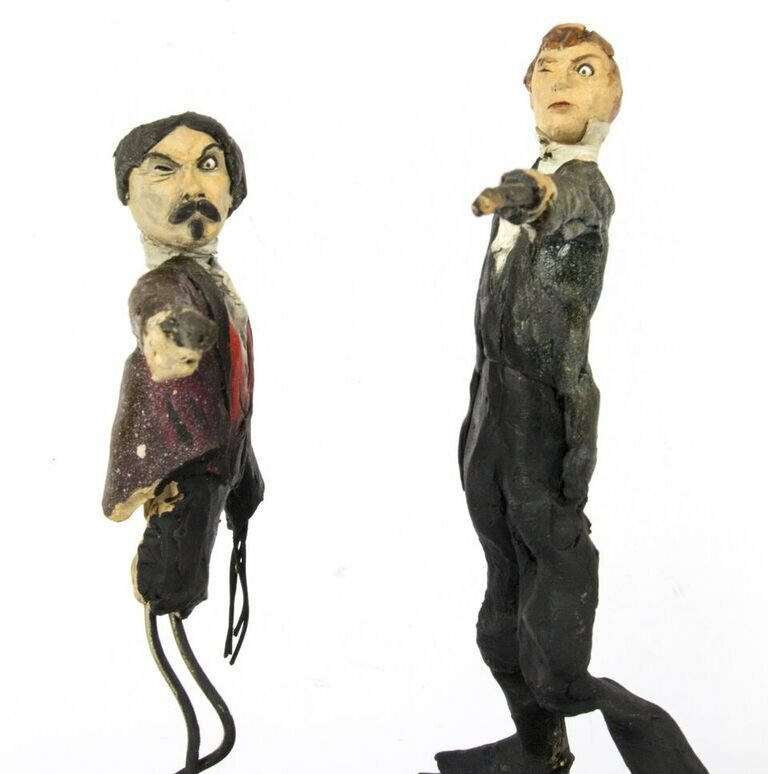 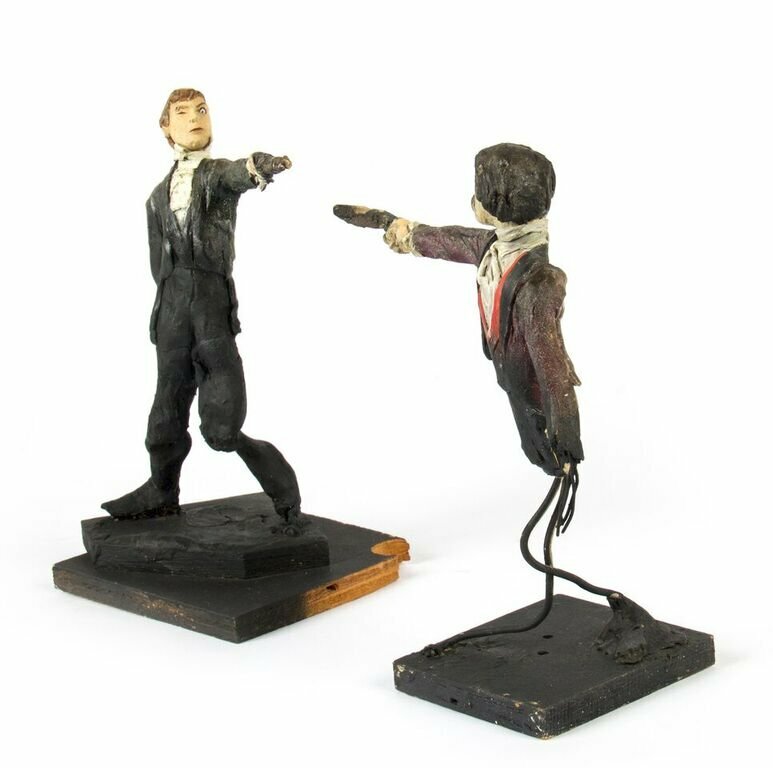 This is an original pair of maquettes used in the creation of the "Haunted Mansion" at Disneyland. 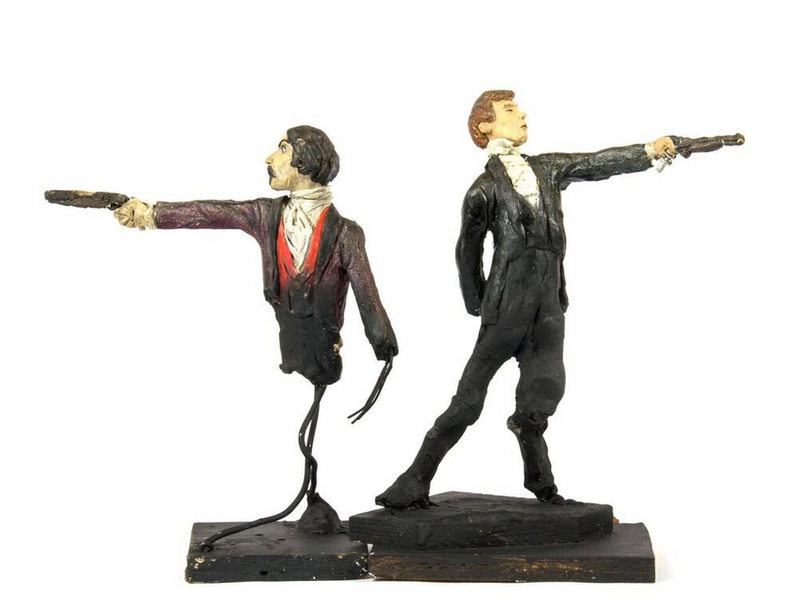 These maquettes feature the dueling ghosts from the portraits in The Grand Ballroom scene of the attraction. 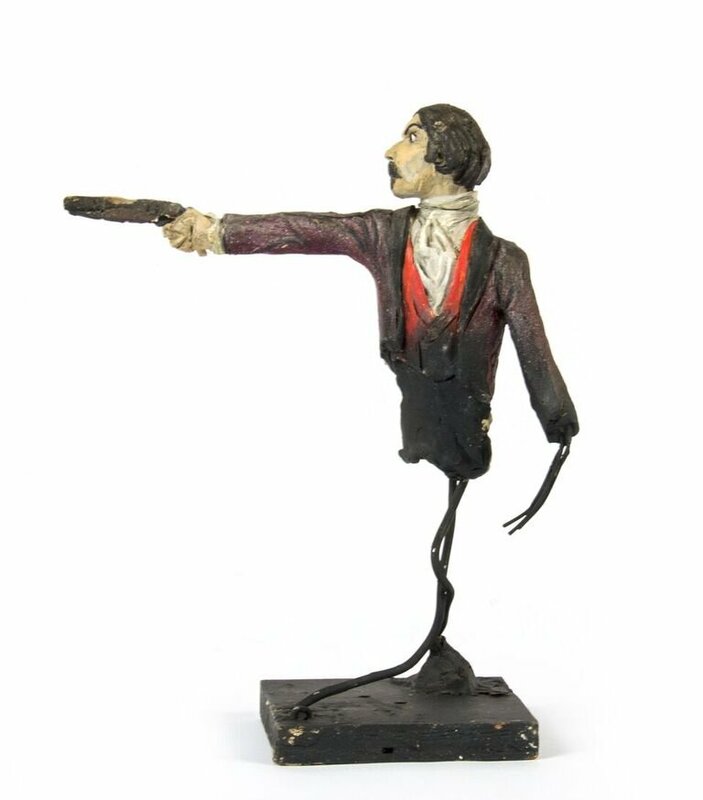 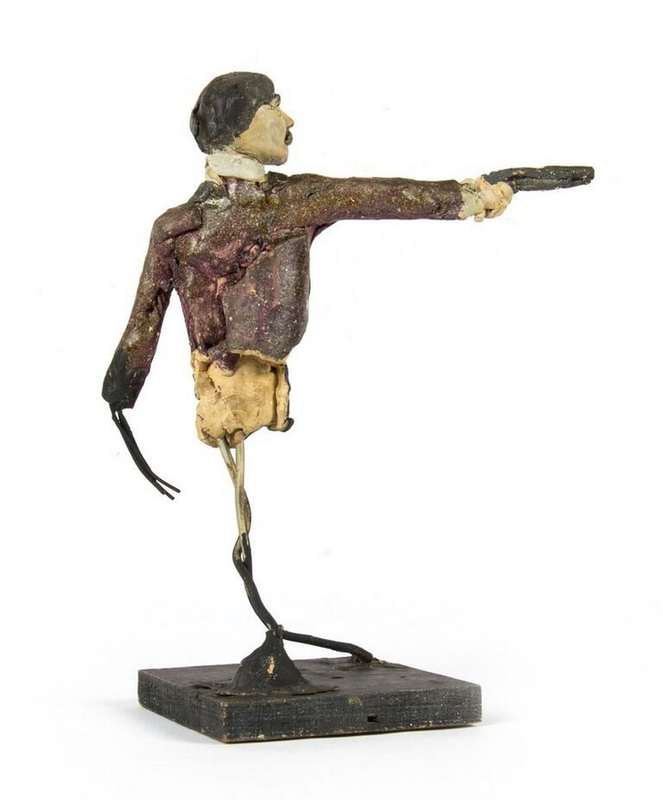 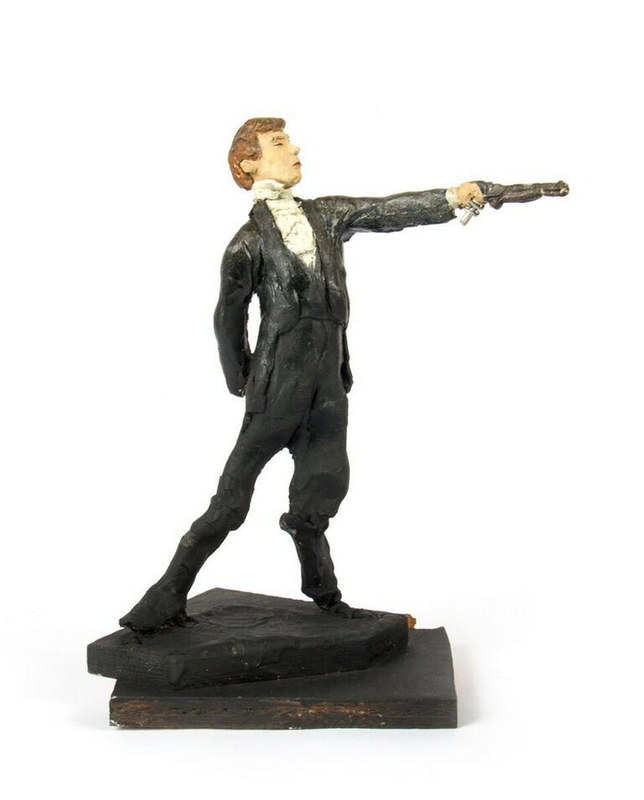 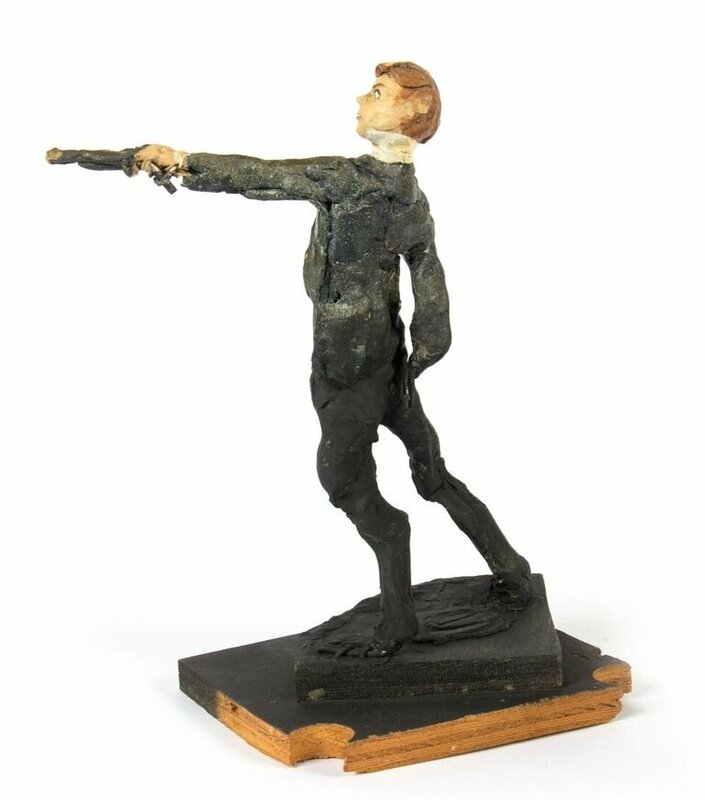 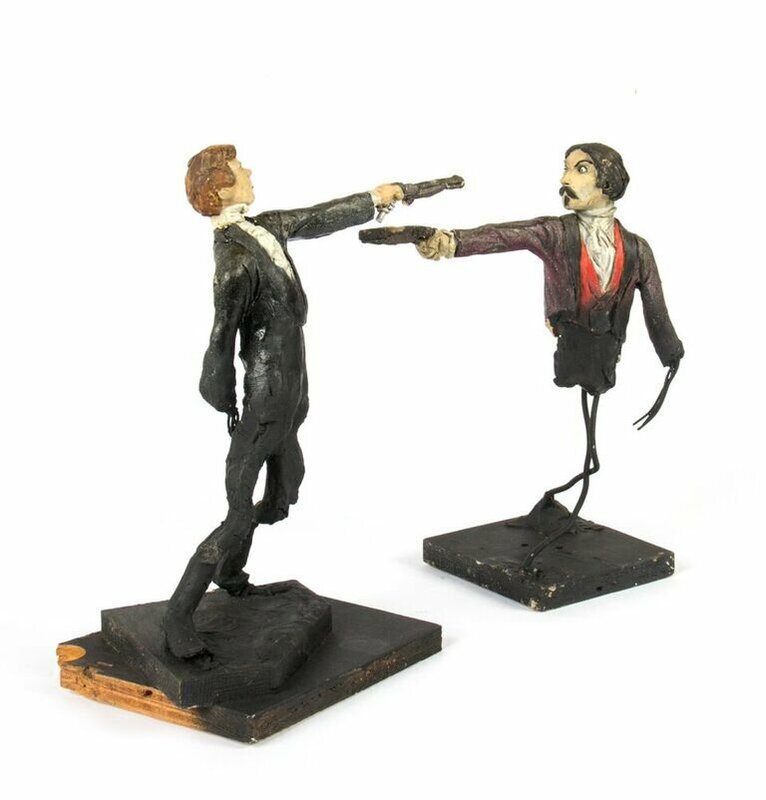 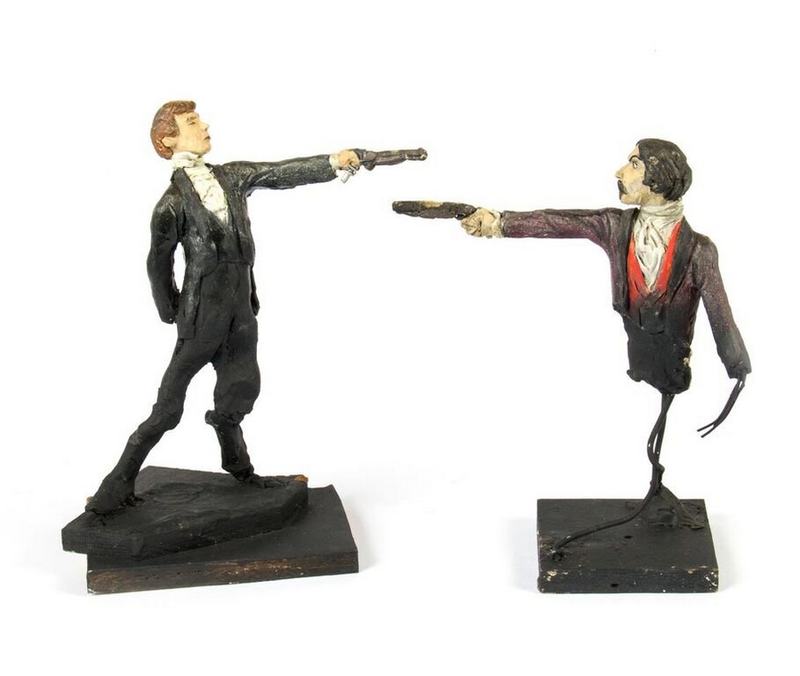 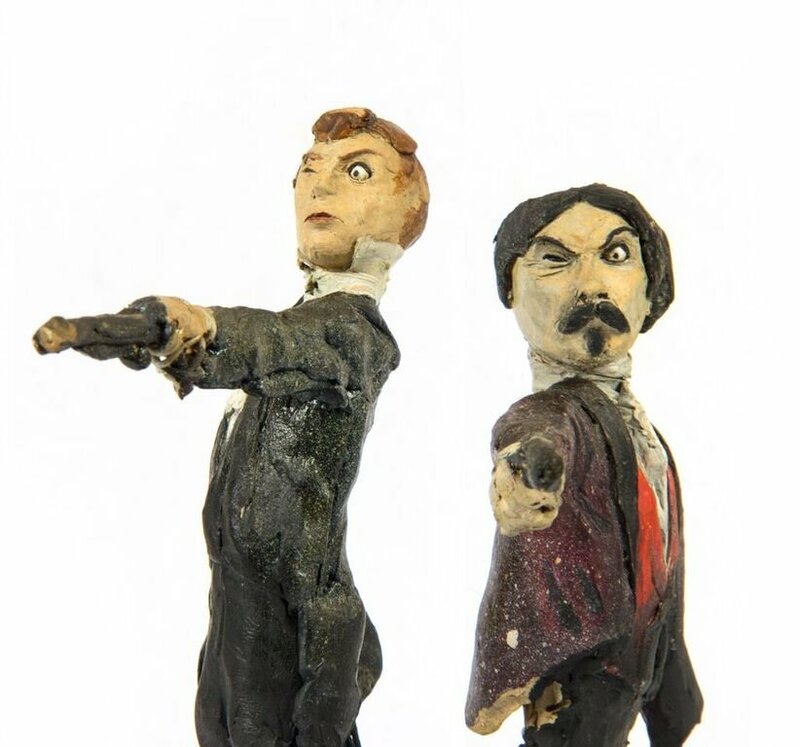 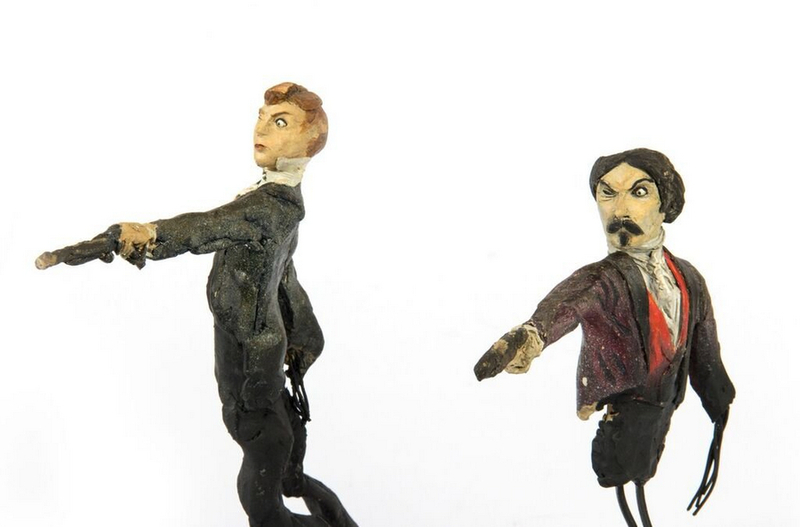 In The Grand Ballroom, these men continue their duel-to-the-death even in the afterlife, and these maquettes feature the two stoic duelists, ready to fire. 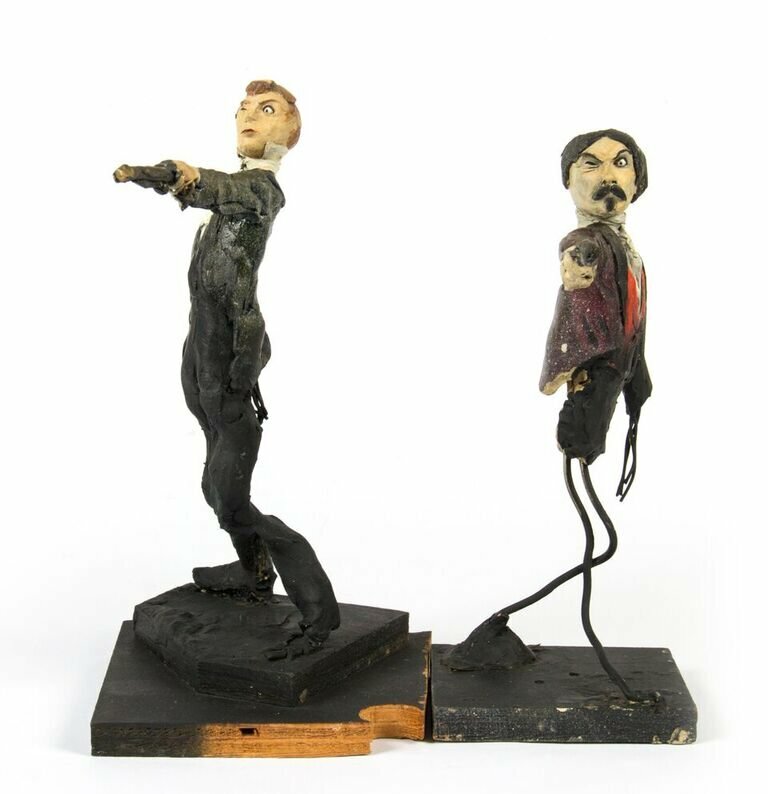 Each maquette measures approximately 10" tall and the pair are in fair to good condition with a few missing pieces and some wear from age. 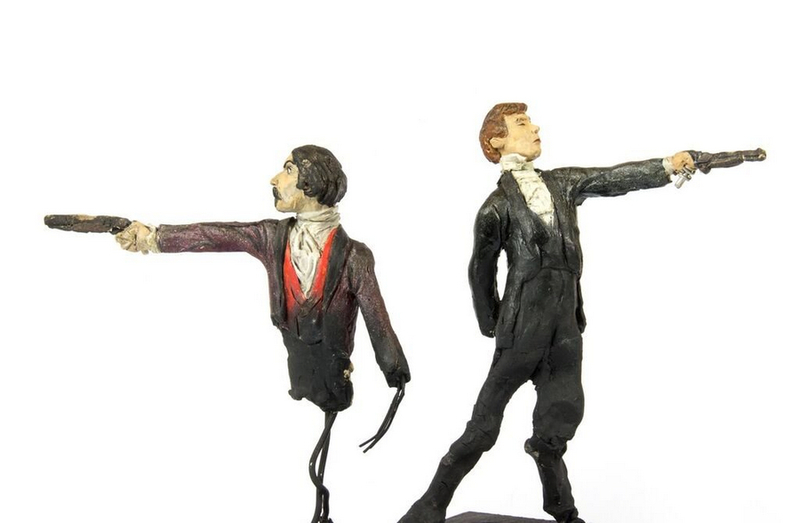 Minor restoration has been done to the legs of one of the maquettes to aid in its presentation.